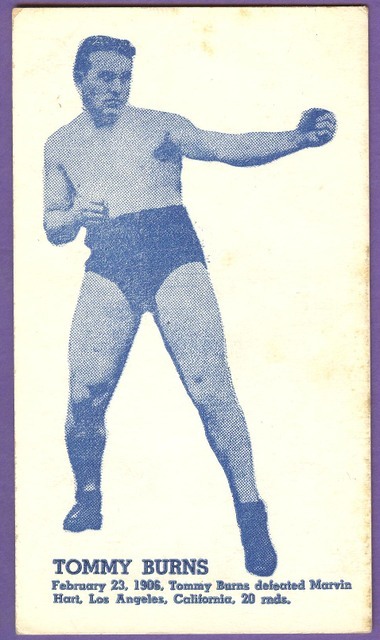 Over the next 20 years or so after the initial issue of the set, Herman reprinted the set and issued new cards for the new champs, in ever worsening quality. Interim reprints shifted from thin chipboard to heavier polished stock similar to Exhibit cards. The last printings were on a slick paper and weren't even sized consistently.